Ladurée has used its expertise to create a marvelous and exclusive range of Hat Boxes, macarons boxes, chocolates and other gifts. Our team will expertly help you select the perfect choice for your corporate clients, family, or friends to celebrate any occasion and to elegantly craft a personal message. Our legendary macarons make a simple yet sophisticated gift. The macarons can also be branded with your logo and are beautifully packaged in boxes ranging from 1 to 200 macarons. 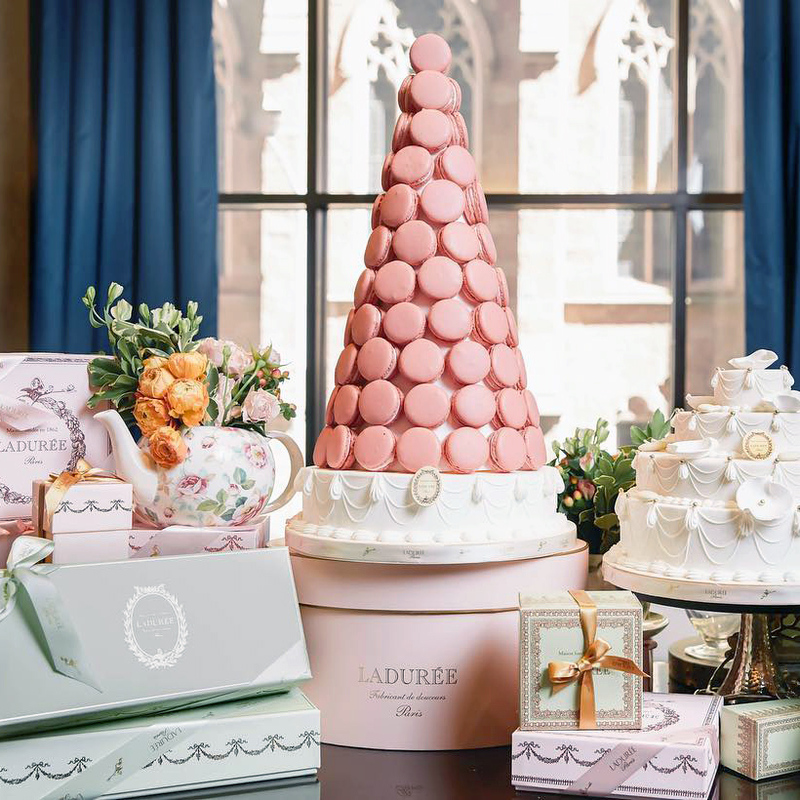 For orders of 15 boxes or more, please contact our Sales Department at salesus@laduree.com or fill out our Online Form. Ladurée offers an exclusive and unique range of delightful treats: from chocolate gift boxes, teas, candied chestnuts, jams, marshmallows, caramels, and more. Choose from our already curated selection of hat boxes and gifts or customize your own. Local delivery within Manhattan in one working day or nationwide shipping available. Personalize any gift with a note of adoration or decorate your macarons with a message, monogram or logo! Give the gift of Ladurée. Redeemable on our wide selection of desirable gifts or towards an experience at our Ladurée restaurants and tea rooms. Terms and conditions apply. Not redeemable online.